Our next ONLINE DRAWING is here!! Due to the success of our first ever online drawing of a beautiful Chanel classic handbag in 2015, this year we are expanding that online opportunity to include THREE drawings for amazing designer handbags which kicked off last month with the Michael Kors Helena Satchel (singed by Michael Kors himself). Remember….the best part about these online opportunities is that you do not need to be present to win! 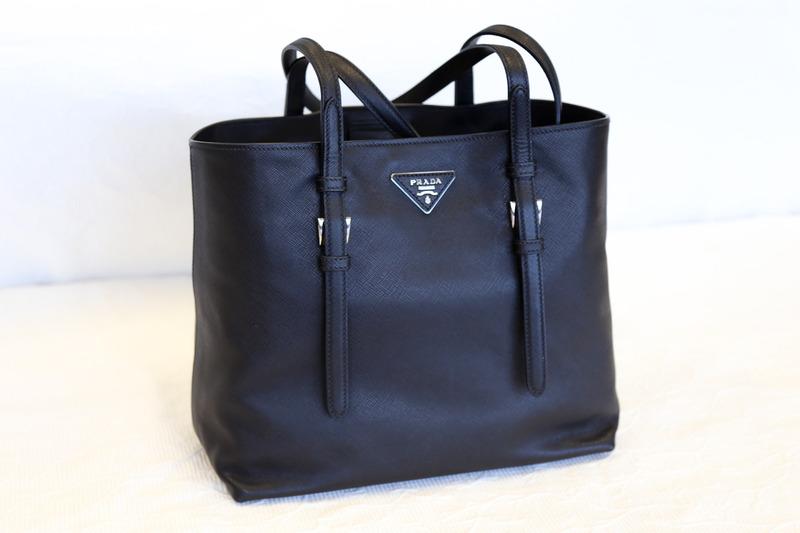 This month we are offering this gorgeous and sophisticated Black Prada Tote with silver hardware. Known for it’s impeccable Italian made Saffiano leather, this tote is perfect for work or travel and can withhold every day use. The tote measure 10″ tall by 12″ wide, depth is 4″. The inside zipper pocket gives you all the security you need along with it’s easy access and comfortable handles. The tote is brand new and comes complete with dust bag and original tag. We are selling 75 tickets for this bag at the bargain price of $50 per ticket. This one is going to go fast so get your tickets now!! These auctions will replace the Red Bag Auction that was held during the IN THE BAG luncheon and featured amazing bags like Louis Vuitton and Fendi. While the Red Bag Auction was a huge success, we also heard from many that they had really felt that they missed out on the chance at one of these incredible bags because they were only raffled at the event. So with this in mind, too, we thought to increase the number of online opportunities to get in on the gamble of winning a bag and at a very, very reasonable cost. And, of course, to be a part of increasing the ITB donations to the Red Cross. Tickets are still available for the Michael Kors Bag at $25 each. The winners for all online drawings will be announced when the last tickets are sold.